Probably the most common type of fencing product available from your landscaping product supplier, Lap Panels are the simplest for the DIY landscaper to install and will not neccesarily require help from a fence specialist. Lap panels are generally made up of a number of thin horizontal boards slotted into a frame and are available in a number of designs. The construction method and material thickness makes lap panels less durable than, for example, a close board fence, however, they are usually cheaper to buy, and quicker and easier to erect as you buy the panel ready to install. The panels are normally available from fencing manufacturers in a variety of heights with the option for trellis sections and, if wooden posts are used, they are attached very simply using U shaped clips. If you elect to use pre-made concrete posts, the panels will slot inside pre-made grooves in the posts. It is always advisable to secure you panels above ground level, and to fit a treated gravel board at the base; this will help prevent your fencing panel from deteriorating through contact with the damp soil. It’s quite easy to identify a picket fence; they are constructed with finished vertical timbers with a round or pointed top, spaced evenly and typically 0.9m high. 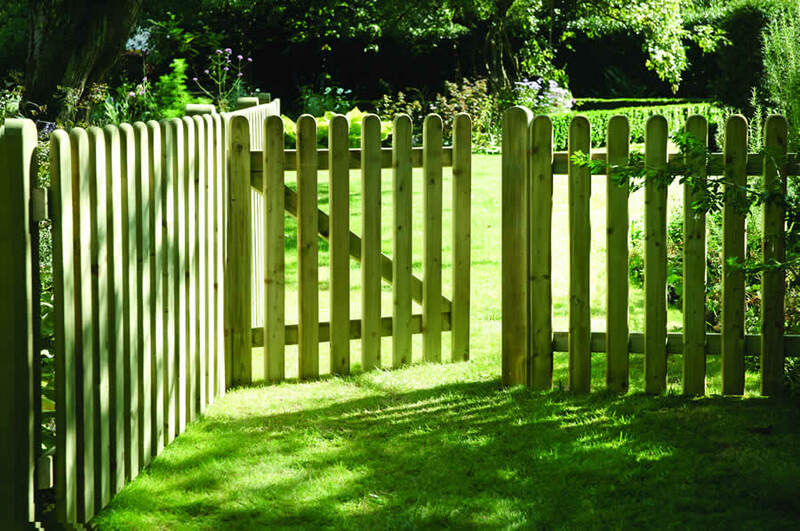 Picket fencing is for primarily decorative use though it can provide an effective boundary for children and dogs. the fencing can be painted or left in a natural finish. Overall, picket fencing is a sensible choice for a decorative boundary fence where privacy and security are not an issue. 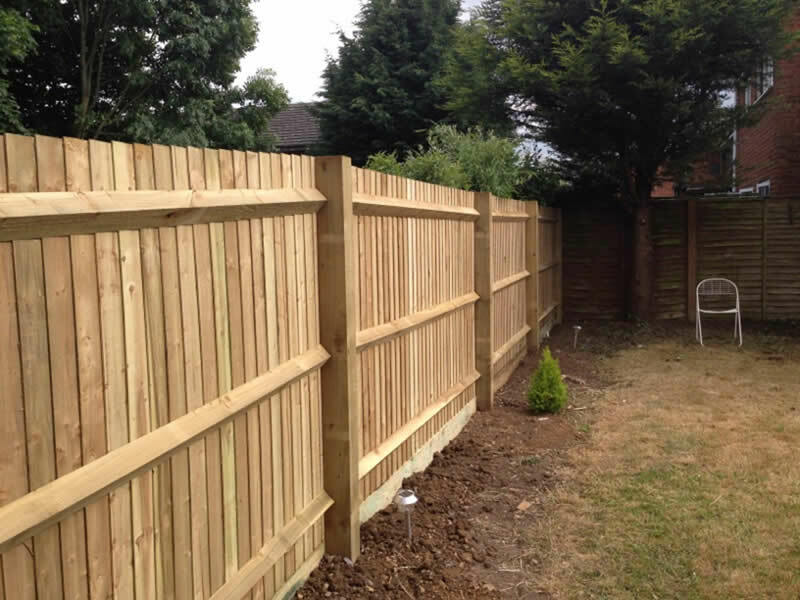 Picket fencing is quite inexpensive and straightforward to install with pre-made panels being fixed to the front of 75mm treated fence posts. 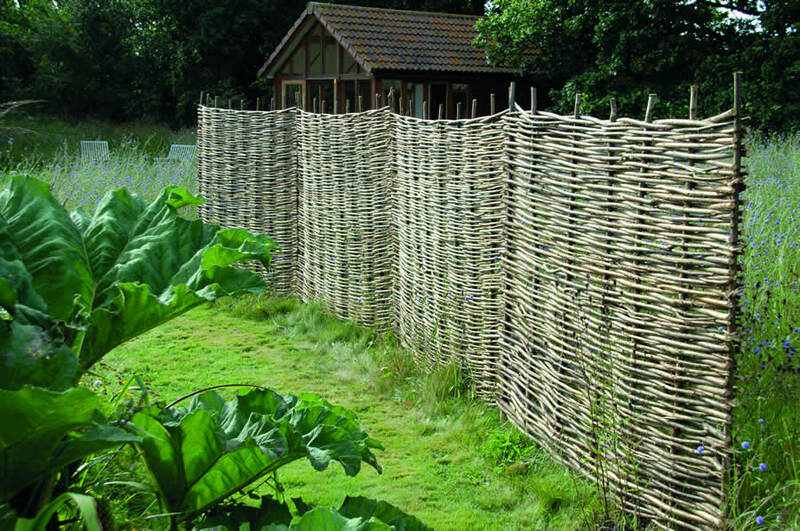 The Hazel Hurdle is a very eco-friendly fencing panel made from coppiced hazle. It gives a really natural, country look wherever it's used. 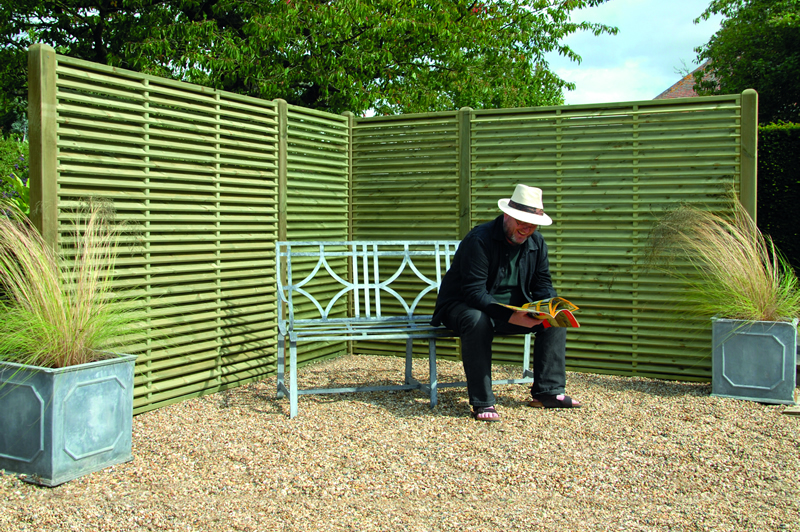 It's ideal for screening and fencing, and the coppiced timber ensures uniformity of appearance. The horizontally weaved wands are cut from new growth and are usually up to a couple of centimetres thick. The wands are robust and hardwearing meaning they will last for years. The height of the panels can be reduced by simply shortening the vertical stakes and removing wands. There are many fencing styles to choose from depending upon your needs and budget, the one we’ve pictured here is known as a Venetian Panel (It’s fairly easy to see why). This one is quite decorative and can be used for a feature wind break as well as for traditional fencing. Visit your nearest fencing supplier to take a good look at what’s available. You’ll be spoilt for choice. If you plan to have your fence fitted for you, your installers will worry about exactly what is needed and quote accordingly. If you are planning to fit it yourself, then remember to budget for some of the tools and accessories you will need in addition to the fence panels. We’ll cover that next time. The best time to start a garden job like this is early in the spring or late in the Autumn. The construction work can be very disruptive to nearby plants, and this will give them the best chance to recover. As a rule, you are unlikely to need any planning permission, particularly if your fence is below 2 meters in height, but if in doubt, check with your local council planning office. This is a reasonably simple job and most people should have no problem with it. You’ll need just a few tools. A paint brush, some sandpaper and a tin of wood preserver such as Sadolin or Cuprinol will get you started. You’ll want to go through this procedure once every year. Start by giving the furniture a clean down with some soapy water in order to remove any dust, marks and bird droppings, then leave it 24 hours to dry off. 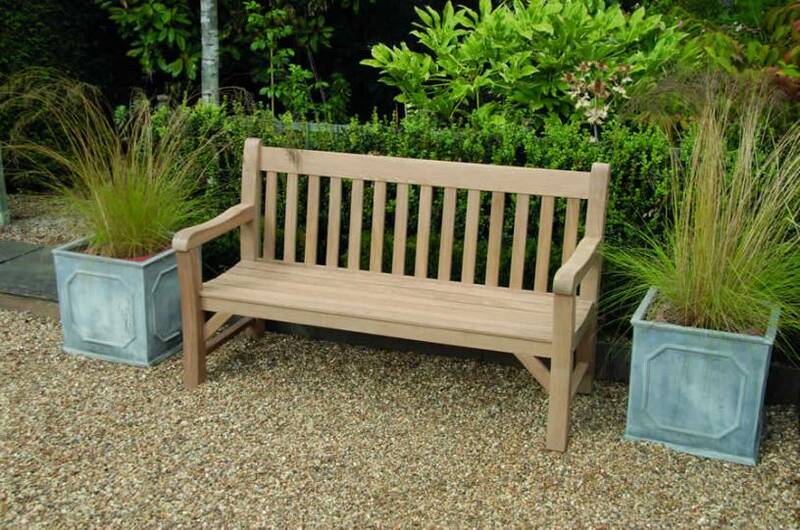 Apply a coat of wood preservative in a colour that most closely matches that of your furniture. To do this use a natural bristle brush applying the preservative in the direction of the wood grain. Allow the furniture to dry for an hour or so (longer if the preservative manufacturer recommends) then apply a second coat. Try to apply in a uniform fashion to avoid darkening some areas more than others. That’s it. Just allow the furniture to dry for at least 24 hours before using. 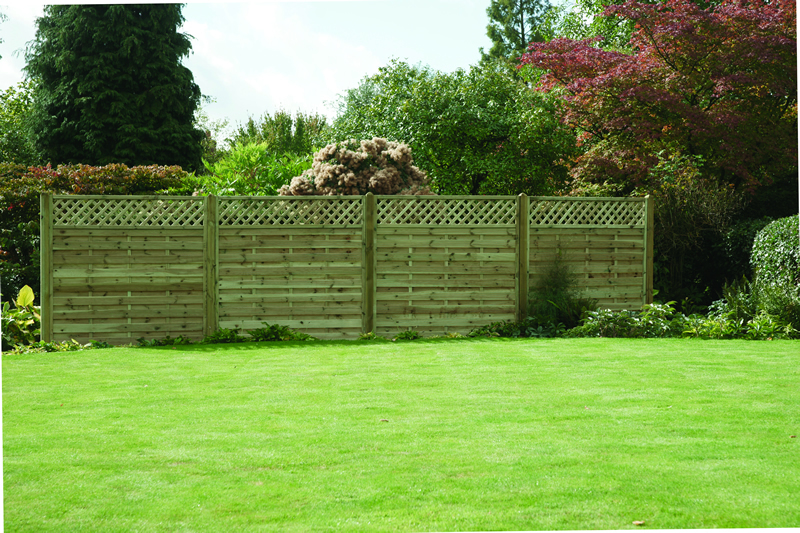 Close board fencing is a particularly sturdy fencing choice for the garden, it is strong and long lasting, and does a great job of minimizing the noise from neighbours’ gardens. The close board design is also great for ensuring privacy. Apart from looking really good, it is very resistant to wind and weather and can provide many years of use. Because close board fencing is built up on site, rather than coming in panels, it is perfect for adapting to fit the shape of your garden. Close board is one of the most popular forms of fencing.